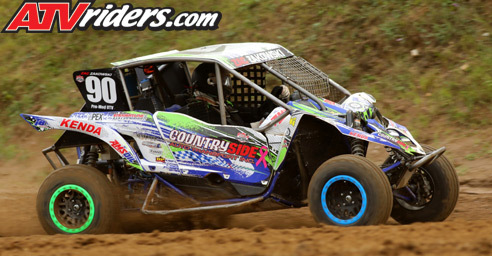 Sherwood, WI (9/10/2018) - Countryside Auto Transport's Zac Zakowski had a goal this year to finish in the top five in points in the Lucas Oil Midwest Short Course League Pro Modified SXS class. 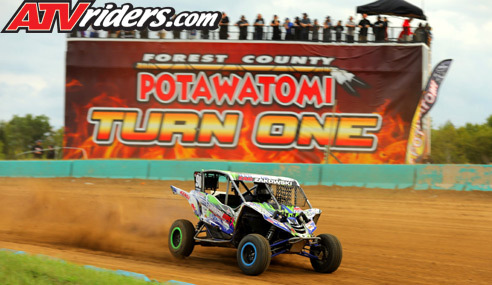 After finishing seventh in the season finale at Crandon International Off-Road Raceway, Zakowski proclaimed that it is mission accomplished. After starting 12th, Zakowski fell back during the three-row, land-rush start, but quickly passed several cars in the gravel pit turn. From there, he ran a competitive pace to finish seventh in his Yamaha YXZ 1000R. As part of the event, Zakowski brought out his popular breast cancer awareness shirts and they were definitely a hit with fans and competitors. All proceeds go to breast cancer awareness. Apex Moto Marketing is currently working on an online store where anyone can buy the shirts. The site is scheduled to go live in October. Fox Shocks were also a huge part of his success. Zakowski is pleased to announce that Fox will expand its backing next season. Racing is a family endeavor for Zakowski. His crew is mostly made up of family members and racing allows them to have fun together. Zakowski is already in the process of building a new car for 2019. Look for him to be a strong competitor next year’s Midwest Short Course League events.